Regardless of age or gender, everyone should be able to smile with confidence. 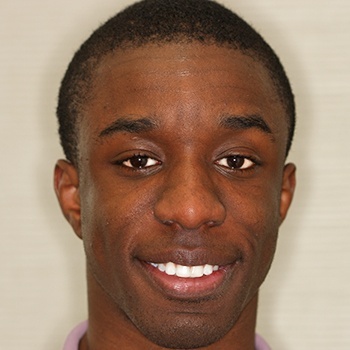 We are pleased to be able to offer 6 Month Smiles to our patients. This treatment option is great for adults who have crowding with their upper and lower front teeth. Did you have orthodontics as a teenager but now your teeth are crooked again? Are your teeth crooked but you don’t want to go through two years of comprehensive orthodontic care? Would you like to have straight teeth before your next cleaning appointment? Are you interested in veneers or bonding to improve your smile but do not want to remove unnecessary tooth structure? If you answered yes to any of these questions then Six Month Smiles may be the perfect option for you. Six Month Smiles works well for adults who have, or have not had braces in the past, but have crooked upper and lower front teeth. Unlike traditional braces that can take two years or more, the average treatment time with Six Month Smiles is just that, 6 months. Six Month Smiles can also be viewed as a more conservative alternative to porcelain veneers or crowns. Rather than preparing the teeth and bonding porcelain, the patient’s natural teeth are safely moved to a more appropriate position. With Six Month Smiles, gumlines can be leveled, anterior crossbites can be corrected, and spaces closed all while maintaining natural proportions and preserving the enamel. 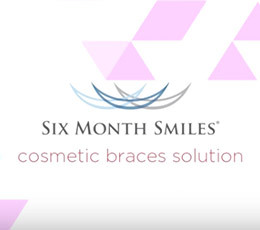 Six Month Smiles braces and wires are barely noticeable because they are the color of your teeth so they blend in well even when you are speaking with somebody one on one. Six Month Smiles involves light forces to gently move your teeth to their new position so the process is comfortable. Yes, as with all orthodontic treatment, a retainer is necessary to maintain the straighter position of your teeth.